Recent advances in drone technologies (also known as unmanned aerial vehicles, UAVs) and non-destructive testing (NDT) have led to significant changes in the way data is collected in the field, especially when it comes to structural inspections and repair/rehabilitation assessments. Traditional bridge inspection methods such as chain-dragging and visual inspections are not only time-consuming and labor-intensive, but they are also rather subjective, relying on the experience and knowledge of the inspector. For instance, until recently, corrosion detection depended on the inspector's ability to visually observe rust staining, cracking, and spalling. Advances in NDT have led to the development of more precise testing methods that are based on physical relationships between the measured parameters and concrete performance rather than the ability of human beings to detect defects. For example, new NDT methods for corrosion detection (such as the linear polarization resistance method) are able to detect corrosion initiation before the physical effects of corrosion become visible. This allows engineers to begin repair/rehabilitation work much sooner and, subsequently, decrease the risk of deterioration caused by corrosion. e the risk of deterioration caused by corrosion. The same benefits also apply to other NDT methods such as electrical resistivity, ground-penetrating radar, and ultrasonic pulse velocity to detect delamination and cracking. However, even with these NDT methods, the process of collecting data is still relatively time-consuming (depending on the method) and may not always be possible due to accessibility issues. 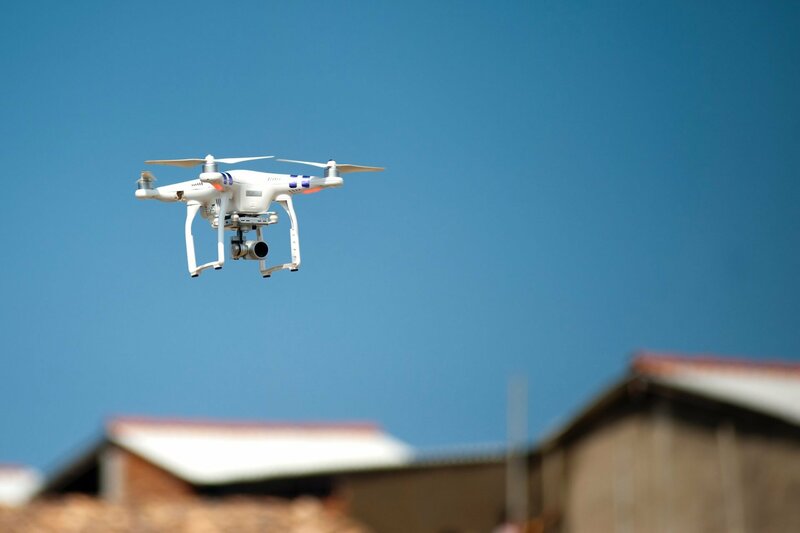 In recent years, we've no doubt heard a lot about drones being used in the construction industry to inspect everything from roofs and buildings to utilities and bridges. The main appeal of UAVs is precisely their ability to overcome huge obstacles when it comes to data collection, specifically, for larger projects. UAVs and drones take care of accessibility issues associated with data collection. By mounting an NDT device on a UAV, an inspector can program the UAV to take measurements and collect images of the degrading area. The collected NDT measurements, along with the photographs, can be used to assess the degradation mechanism, identify areas requiring repair, assess the propagation of the deterioration issue, and arrive to conclusions on the urgency of required repairs. Drone inspections also save effort in documentation, since the newest NDT methods can automatically generate reports and perform several analyses that are of direct interest to engineers and inspectors. Considering all of these time and cost savings, as well as the decreased safety risks, it seems that a move towards embracing such technologies will become necessary in the not-too-distant future. I’m more than happy to find this page. I wanted to thank you for this fantastic read!! I definitely savored every bit of it and I have you book-marked to see new things on your blog. The presence of drones in construction means significant changes within the industry. Drones have already begun changing the way the construction industry operates, and those changes will have continued and lasting effects. Hello I am a student studying Unmanned Aerial Systems. I was tasked with finding out what frequency the iCOR device is using on the electromagnetic scale. I understand this is a newer device and you are still in the early stages on the drone inspection systems. We are also wanting to know how the drone uses this technology? Does the device physically have to touch the concrete? or with using the drone with the iCOR device, can it be done without probing? Yes I would. That way when you guys get further along with it, I’ll have a better idea of what it is and how to use it within my company. Sounds great, we’ll have someone reach out within the next business day! Hi Greg, these drone inspection systems that are equipped with our iCOR device are currently in the early stages of development. Unfortunately, we don’t have a release date in mind as of yet. Are you familiar with our iCOR device? We’d be happy to provide you with more information!